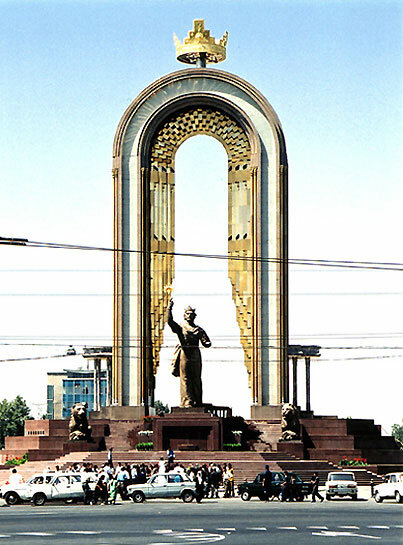 Dushanbe is the Capital and largest city in Tajikistan. 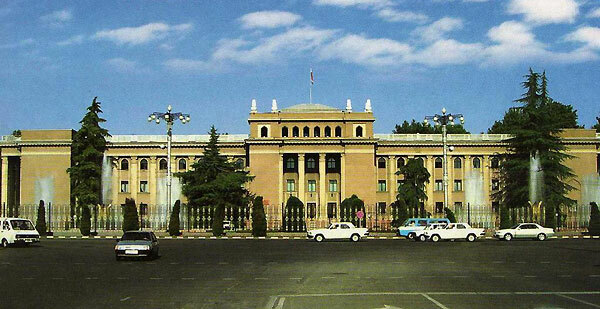 Its name means "Monday" in Persian language, having been built on the site of a Monday market. 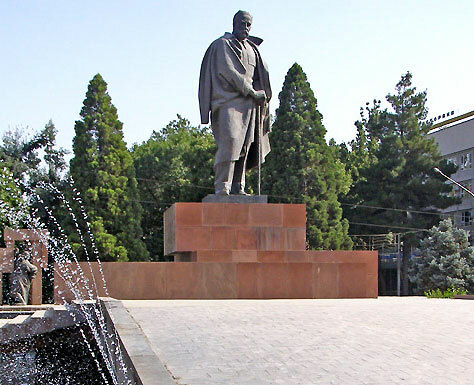 It was a small village for centuries; however, after the Bolshevik revolution and Red Army conquest of Central Asia, it was made the capital of the new Tajik Autonomous Soviet Socialist Republic (later the Tajik Soviet Socialist Republic). 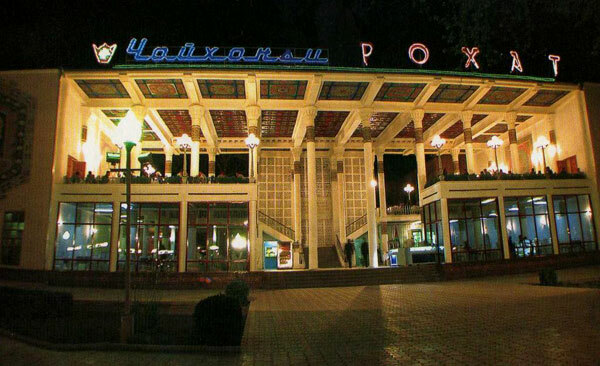 Under the Soviets, Dushanbe grew rapidly, and was endowed with many industrial enterprises and cultural institutions. The city was peaceful and prosperous, and had a very multi-ethnic population due to an influx of workers, mostly Russian-speaking, from other parts of the Soviet Union, reaching 850,000 today. 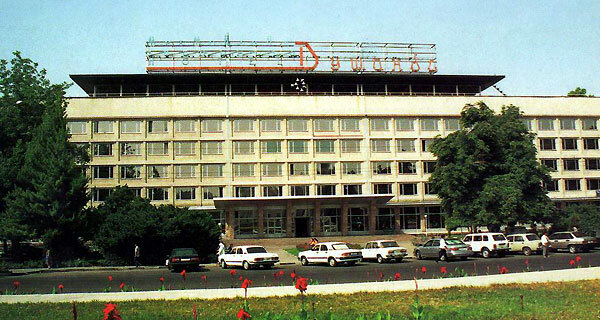 During the 1990's, Dushanbe became very dilapidated, and its people impoverished, due to the collapse of the Soviet command economy and the Tajik civil war of 1992-1997; most Russians and other minorities fled during this time. However, during the past decade the city has seen a virtual renaissance and is now more prosperous and beautiful than ever. The infrastructure has been mostly rebuilt; streets are newly paved and orderly, and electricity, water and gas supplies are uninterrupted. Gleaming new hotels and banks are a common sight, as are internet cafes, well-stocked supermarkets, and modern apartment buildings. Nearly every type of International cuisine can be found in the center, from inexpensive and authentic Uzbek and Central Asian dishes to the finest European, Asian, and American offerings. 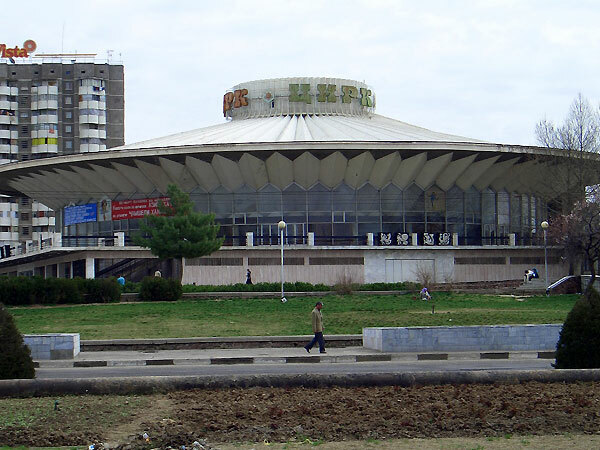 Modern Dushanbe is a true "garden city", its wide boulevards and sleepy backstreets lined with towering plantain and poplar trees, giving the city the feel of a leafy oasis on hot summer days. Many large parks are scattered throughout the city, watered by a network of large and small canals and channels. Hotel accommodations from one to five stars are available, ranging from quiet guesthouses in vintage buildings to cosmopolitan business hotels, including international chains such as Radisson and Hyatt. Weather in Dushanbe is typified by hot, dry summers, cool winters, and warm, wet spring and autumn. Average high temperature in July is 36°C, with a low of 18°C. In January, Average temperatures are 9°C / -1°C. Dushanbe receives on average more rainfall than other Central Asian capitals; around 500 mm which mostly falls in spring, though summers are very hot and dry. The city is protected by several mountain ranges from the bitterly cold temperatures and strong winds which affect the rest of the region. One thing which sets Dushanbe apart from its Central Asian neighbors is its stark contrast of modernity and tradition, which can be seen in few other places in the world. Old men with large beards and in traditional robes can be seen praying to Mecca in the parks, and many women choose to wear traditional non-revealing clothing, some even covering their faces. Alongside such followers of tradition, most of whom are recent arrivals from the countryside, stroll cosmopolitan men and women in modern clothing. Women here feel free to wear mini-skirts and high heels, and most men prefer to be clean-cut and snappily dressed. Regardless of lifestyle, nobody here leaves home without their mobile phone! Another reason Dushanbe is more pleasant to visit than other cities in the region is its pace of life. Things are quite slow here, echoing the traditional Tajik style. Business is often conducted at the chaikhana, over hours of tea and polite conversation. People on the street are incredibly helpful and friendly, and open-minded foreigners are guaranteed to meet new friends and be invited to plov or tea. 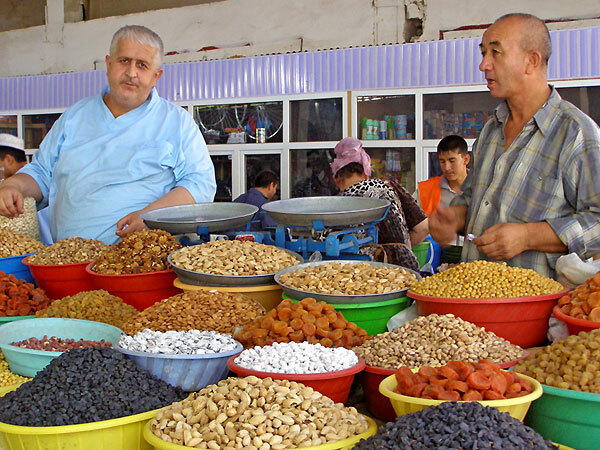 Due to its Soviet past and diverse population, Russian is often used for communication on the street and in business; in addition to Tajik and Uzbek (most Tajiks and Uzbeks know each others' language). However, many young people have learned English and are eager to impress you with their language skills. The streets are uncrowded, traffic jams are unheard of, and parking is plentiful. Public transportation is reliable; though since the city is so conveniently compact and beautiful you will most likely prefer to walk! 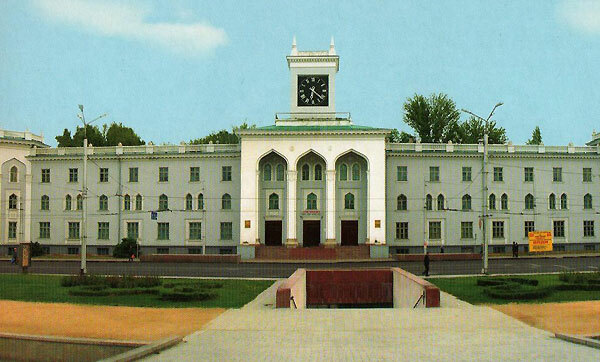 One surprising fact for many foreigners is that Dushanbe is home to a large expatriate community. This was originally due to the huge influx of humanitarian organizations after the civil war, though more recently business people and bureaucrats of all types have arrived. This population supports a number of "foreigner friendly" establishments, including the requisite Irish pub. Dozens of foreign embassies and consulates are conveniently located in the center as well.